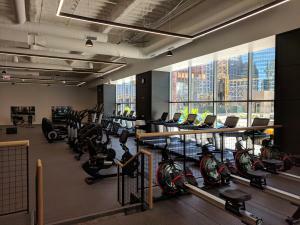 CHICAGO, IL, UNITED STATES, July 11, 2018 /EINPresswire.com/ -- LifeStart, the commercial real estate industry's largest provider of corporate fitness / wellness solutions recently announced the Grand Opening of a new state-of-the-art fitness center located in one of Chicago’s most recognizable commercial buildings, River North Point at 350 N. Orleans. 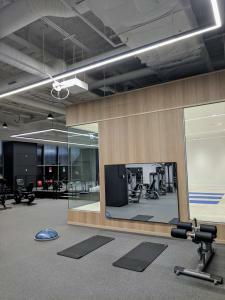 The new fitness center powered by LifeStart will provide the tenants of this Class A Office Building with cutting-edge facilities and services designed to support a healthy, active lifestyle for tenants while they are at work. The fitness center encompasses 9,000 square feet of multi-purpose space, which includes state-of-the-art Life Fitness Discover cardio equipment, featuring a fully connected cardio experience including integrated TV’s and touch screen computers, a full assortment of strength equipment, a large group exercise studio, a dedicated High Intensity Interval Training Zone with a functional training bridge and turf track, MyZone training systems, a dedicated Yoga Studio and a dedicated free weight area. 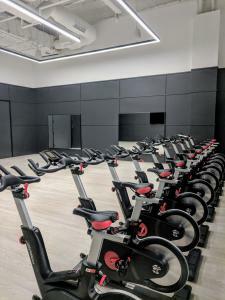 The center also boasts modern and well-appointed locker rooms and amenities, and provides its tenants with a range of services including laundry, private lockers, personal training, nutritional counseling and a diverse group exercise curriculum.